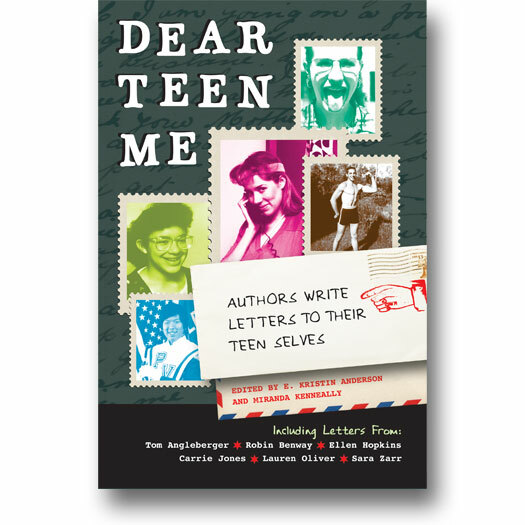 On October 30th, Dear Teen Me: Authors Write Letters to Their Teen Selves edited by Miranda Kenneally and E. Kristin Anderson, was published. It is a book of letters from 70 different authors to their teenage selves. 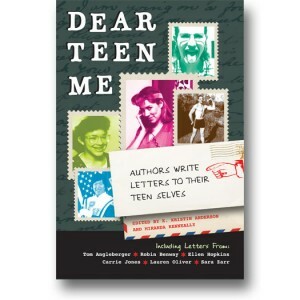 The publisher offered an opportunity to bloggers to write their own letters to their teen selves. My letter, abridged and modified slight here, was originally posted to the Dear Teen Me blog, which continues to regularly add new letters from even more authors and illustrators. 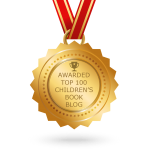 Each letter helps reader’s realize that every teen has good days and bad days, sorrows and successes. Some had really bad days and a lot of sorrow before realizing the success and the good days. Think about it. 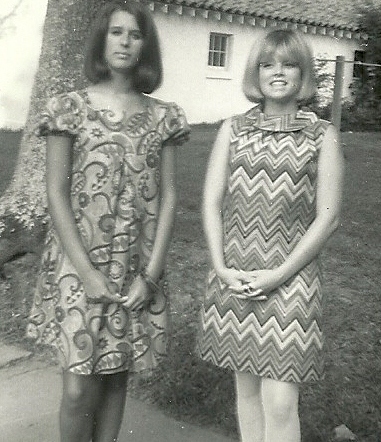 What advice and insights would you offer to your teen self? 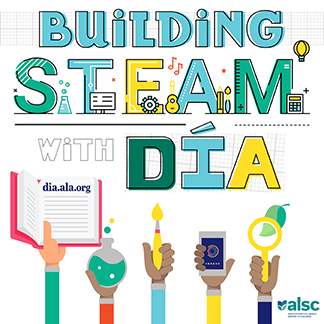 Today you will find a variety of posts from different ALSC Bloggers writing to themselves as teens. We hope they make you think about the kids you work with and what they may be going through. And maybe you’d like to write your own letter to yourself as a teen. Let me start by saying that from the distance of several decades, your teen years don’t look too shabby. Yes, there are some issues but in the grand scheme of things they are not as significant as they seem to you now. And…this is important…you overcome the problems and insecurities you are facing and have a long and happy life filled with success and love. You’ll start your junior year back in East Brunswick. Yep, Daddy volunteered to go to Vietnam early so that you can get moved and settled before school starts. Don’t worry; yes, it will be hard to make friends–everyone is already in cliques by junior year–but you will meet a boy who also just moved to East Brunswick and you’ll go to the Junior Prom with him. Don’t get too excited, though. You’ll think he’s the one but he’s not! He’ll move in senior year and you’ll stay at EBHS to graduate. You’ll freak out a bit at the end of senior year and start questioning why you are going to college like your parents expect you to when you don’t really know what you want to do. You’ve thought about a lot of different things but just can’t decide. After a great deal of angst, you will realize that you have to break away from your overbearing mother. You will also realize that you are not and can never be a “Jersey Girl” and you’ll move away from the East Coast, heading to New Mexico. There you’ll meet a great guy. Forget about the fact that you’ll tell him you that you wouldn’t marry him if he were the last man on Earth! You will marry that kind and gentle man and move with him to California and then to Texas. Your parents will be floored because you’ve never talked about marrying anyone, much less a guy they’d never met. You’ll be kind of shocked because you are still married to that man 38 years later! By the way, while it was fun to study all those cultures, a degree in Anthropology won’t prepare you for a job. While you are trying to figure out how to earn a living, it will suddenly dawn on you that you love to read and love being in the library, so maybe you should be a librarian. 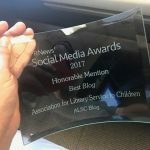 You’ll do very well as a librarian (even winning awards) and it will lead to a lot of great experiences. Oh, and those drama classes you took. Eventually they will help you overcome your fear of public speaking…oh, yes…in a really big way! Don’t start panicking now but you’ll be speaking in front of really big groups of people about reading and libraries–and the books that you have written–and they will be listening to what you have to say. You’ll also get to know a lot of really great people, including E. Kristin Anderson who will ask you to write a letter to your teen self. So, dear teen Jeanette, speak your mind and don’t be afraid to contradict your parents. Do what you need to and want to do. Stop fighting those who would hold you back and just live your own life. You’ll love it!